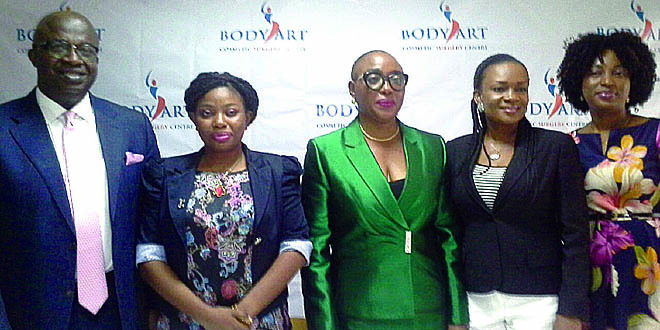 To save millions of huge capital flight lost annually through those who seek for human body restructure to look young, restore their appearance and confidence abroad, Nordica Fertility Centre has opened a Body Art Cosmetic Surgery Centre and Wellness Clinic in Lagos. The centre, which is due to commence full-operation next month, is geared to improve health status of Nigerians. 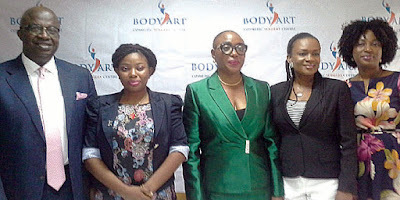 Addressing journalists at the Nordica Fertility Centre, Ikoyi, the Clinic Manager, Tola Ajayi, on Tuesday, said that the cosmetic surgery center is a combination of cutting edge-technology with an eye for artistry to ensure natural results, timeless beauty and lasting satisfaction. The Nordica Clinic boss said: “Today, we reveal to you – Body Art Cosmetic Surgery Cente and Nordica Wellness Clinic, a result of research and development. You will agree with me, that there is nothing like looking, feeling young and feeling good. We desire and love you to have the body of your dreams, and that is our strong message. We offer a refreshing approach to renew your appearance and restore your self-confidence. “Our cosmetic surgery center is a combination of cutting edge-technology with an eye for artistry to give you natural results, timeless beauty and lasting satisfaction. This is what Body Art Cosmetic Surgery Center epitomizes,” she added. Ajayi added that the Clinic would engage in other services, which include: egg cryopreservation, counseling, weight loss, mind-body medicine, acupuncture and genetic compatibility testing. Ajayi also said that the surgical team will be led by the world renowned plastic surgeon, Dr. Guillermo Blugerman, and assured that he will provide a world class service. Her words: “With his artistic vision, you are sure of a world class service. Dr. Guillermo Blugermaji has performed surgical demonstrations live in Germany, Saudi Arabia, Australia, Austria, Bosnia Herzegovina, Brazil, Chile, Colombia, Costa Rica, Croatia, Curacao, Ecuador, Spain, Philippines, France, H illand, Israel, Mexico, Montenegro, Paraguay, Romania, Thailand, US and Venezuela. He is a consultant for cosmetic surgery centers in Germany, Austria, the Netherlands, Chile, Ecuador and USA. And we are glad he is coming to Nigeria to help renew your appearance and make you feel good inside and out. The same with our Wellness Clinic, where we will make you feel well every day. Also speaking at the event, the Infertility Counsellor and Acupuncturist, Esther Odiete, noted that acupuncture is safe, relaxes the nerves and also stimulate the flow of blood from the uterus. According to Wikipedia, Acupuncture is a form of alternative medicine. It is commonly used for pain relief though it is also used to treat a wide range of conditions. The majority of people who seek out acupuncture do so for musculoskeletal problems, including low back pain, shoulder stiffness, and knee pain. Acupuncture is rarely used alone but rather as an adjunct to other treatment modalities. The Clinical Embryologist, Atiba Adedamola, added that the eggs could be collected and stored without complications for like 10 years. This process is called freezing. Managing Director of the Clinic, Dr. Abayomi Ajayi, in his speech, disclosed that carrying out body surgery in Nigeria was cheaper and convenient than travelling abroad. Ajayi assured that Dr. Guillermo Blugerman, would be invited to the country to perform plastic surgery as a renowned surgeon and consultant who has worked for cosmetic surgery centers in Germany, United States of America (USA), Netherlands, Germany, Saudi Arabia, Colombia, Philippines, Israel Australia, Austria, USA, Brazil, Chile, Spain and Ecuador. This story was published in Newswatch Times on September 5, 2015.